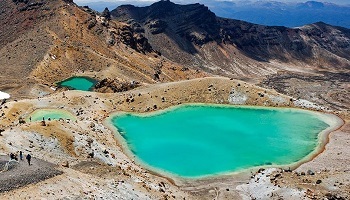 Tongariro is New Zealand's oldest national park and a World Heritage Area. This status recognises the area's important Maori cultural associations as well as its outstanding volcanic features. Set in the centre of the North Island, the National Park attracts thousands of visitors every year, keen to experience the spectacular volcanic scenery of New Zealand's oldest national park. • Day walks: visitors can enjoy walks ranging from 10 minutes to a full day. 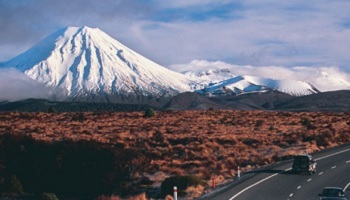 Most walks begin within walking distance or a short drive of Whakapapa Village. 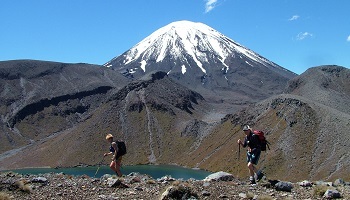 • Overnight tramping: follow the Tongariro Northern Circuit for a tramp through some of the best scenery in the Park. Walkers can spend one to four days on either the entire circuit or a portion. Hut passes, which can be purchased at the visitor centre at Whakapapa Village, are required.